Game - what's the time, mr wolf? 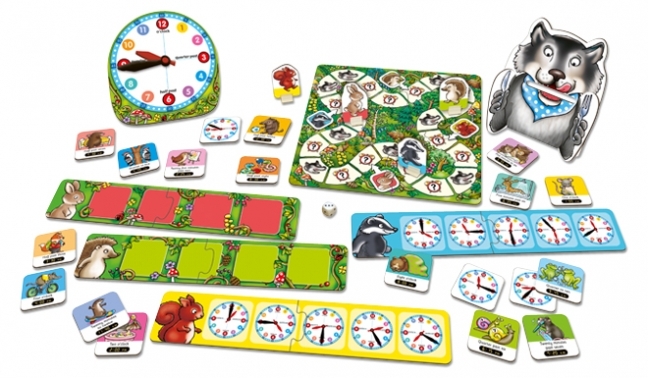 This fun board game will help children develop analogue and digital time telling skills. For conscientious parents looking for a game that is both educational and fun, What's The Time Mr Wolf? is a great board game to develop analogue and digital time telling skills. Players must race their character around the board matching the times to the central clock - but watch out for the hungry wolf! Features cute woodland animals which children will love, including bunnies and hedgehogs.